Locked in battle over levels of salary increases, the Dominica Public Service Union (DPSU) and the Government of Dominica now seem closer to a common understanding after the DPSU executive met with members at its headquarters on Valley Road on Tuesday, January 22, 2013. In an exclusive interview with The SUN after the meeting, Letang said the DPSU had rejected government's proposal of a one per cent increase for 2010/11 and a 1.5 per cent increase for 2011/12 and instead proposed a one and a two per cent increase in addition to more than a quarter million dollar grant for medical purposes that government previously rejected. The DPSU wanted a three per cent increase for 2010- 2012 and said in December 2012 that it was not ruling out industrial action if Government did not accede to its demands. "Government had previously rejected our proposal requesting them to contribute $350,000 to a medical assistance fund for public officers but last week that request was brought back to the table and the Prime Minister, who was at the meeting, decided that he would contribute that amount of money towards the fund, on the condition that we accept the increases of 1% and 1.5% but our members want one per cent and two per cent just another half percent," Letang said. According to Letang, the Medical Assistance Fund for union members was very important since Dominicans were struggling to meet medical bills especially when they retired. "That proposal was rejected by government but we pressed on and it has now been approved," he said. He said that on a regular basis members come to the Union requesting assistance for the payment of medical bills and in many instances it was difficult to honour their request. Asked about the poor attendance at Tuesday's meeting (less than100 attended) Letang seemed unperturbed; he stated that members had been in touch with the office expressing their views on the matter and wishing that the long outstanding salary matter to come to an end. "I am not disappointed at the turn out since many people were calling our offices asking us to bring closure to the matter and what we have come up with is as a result of what our members have stated to us," Letang said. He said that it is better for public officers to accept the one per cent and 2% instead of having the matter refereed to arbitration which will not be in the best interest of public officers. 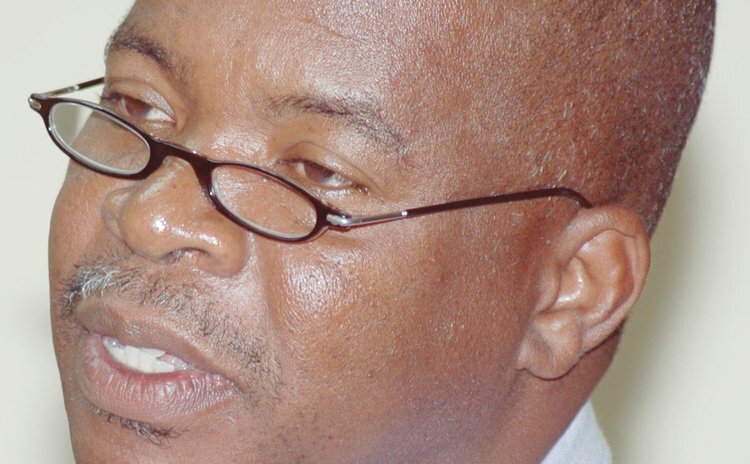 "If we have to go to arbitration we stand to lose a lot since the odds are against us after the Teachers Association accepted the offer given and also when the matter goes to arbitration all industrial actions must cease and parties must abide by the decision unless they err on a matter of law," Letang stated. He was expected to communicate the decision of the DPSU members to Government and he is hoping that Government will accept that proposal.